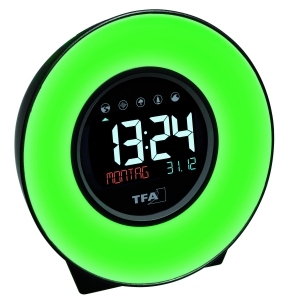 With the "CHARGE-IT" radio-controlled alarm clock from TFA, you always have an overview of the room climate in addition to the current time and the date display. 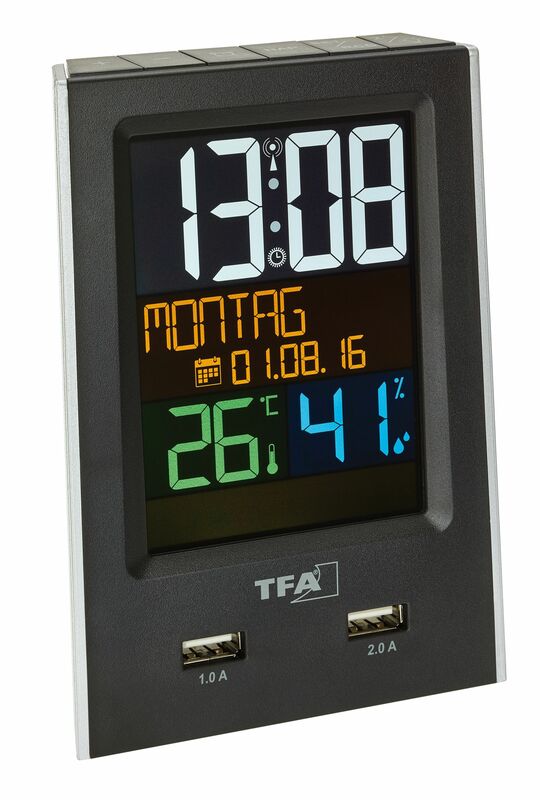 The colour display with backlight makes the display easy to read even in the dark. 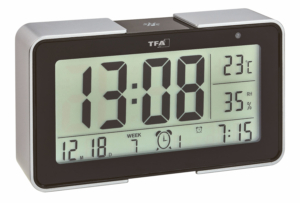 Various alarm functions ensure a punctual start to the day. 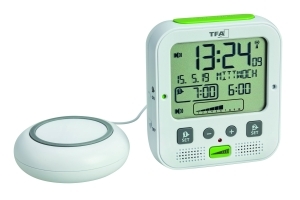 The integrated nap timer wakes you up in good time even after a quick nap. 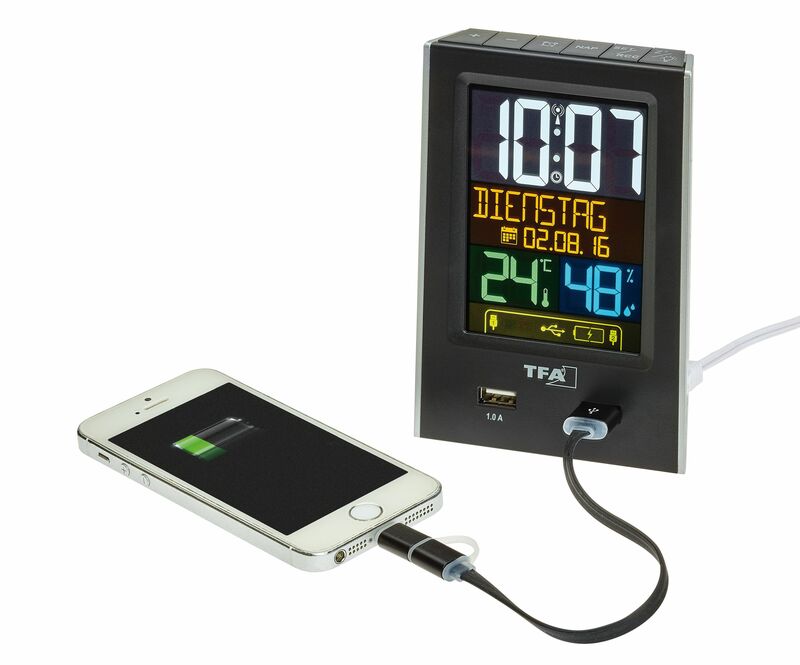 A special feature is the built-in charging function for devices with USB port. Smartphones and tablets today are very powerful and have many functions, but often need to be plugged in for changing and often the right charger is not at hand. CHARGE-IT offers 2 USB charging ports with 1 and 2 amps for mobile devices. And for a convenient charging, an adapter for most Android devices (micro USB) and Apple products (lightning connector) is included.